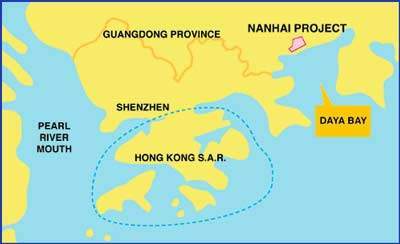 CSPC is located in Daya Bay Huizhou Municipality, Guangdong, PRC. 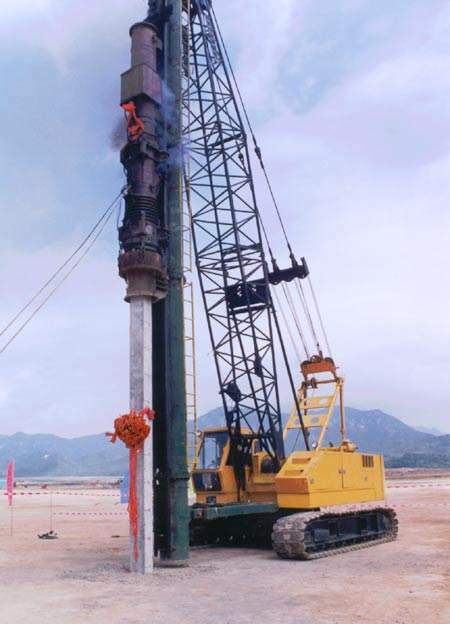 Construction activity begins as the first pile is driven into the ground in May 2003. Mass cut fill activities on the site of the CSPC petrochemical complex. The complex is due for completion in 2006. The construction and foundation ceremony was held on the project site in November 2002. 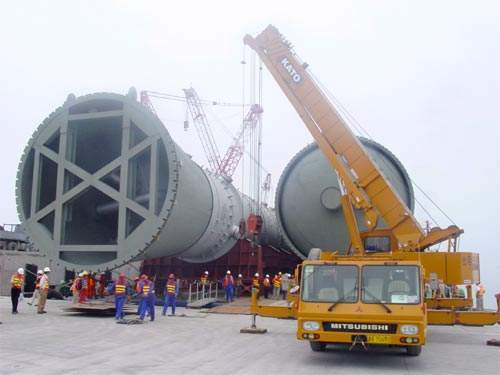 During May the biggest and heaviest piece of equipment of the CSPC Nanhai Petrochemicals Project arrived at the material offloading facility. Imported from Japan, the propylene rectifier weighs 1,240t and is 94m long and 6.9m in diameter. It is used to make polymer grade propylene. 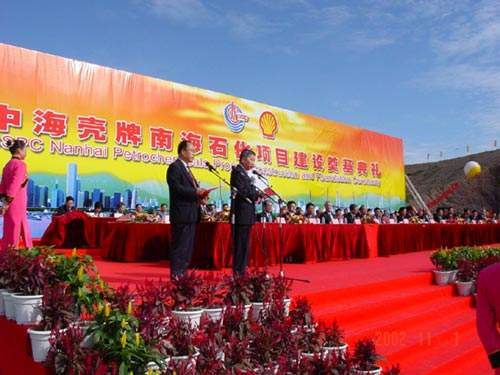 In November 2002 China National Offshore Oil Corporation (CNOOC) and Shell Company made a final investment decision to proceed with development of a joint venture world scale petrochemical complex, to be built in China. The joint venture company is called CSPC. The venture invested $4.3bn to build an integrated petrochemical complex which is centred around an 800,000t/y naphtha cracker. In total the complex produces some 2.3 million t/y of product. The complex was built in the Daya Bay Economic and Technical Development Zone, Guangdong Province, China. CSPC has awarded a total of 143 contracts with a total value of $2.3bn. In March 2006, CSPC announced the start-up of the petrochemical complex. Construction of the facility was completed in December 2005. Each company has a 50% stake in the project. CSPC owns and operates the petrochemical complex as well as market material mainly to the domestic market. The final investment decision was made in 2002 following a 20-month definition phase. At the same time, in November 2002, the project entered the implementation phase, which involved detailed design and construction and eventually commissioning and start up of the complex. In addition, integrated support facilities and utilities were also built. During 2001 CSPC awarded a project management contract to a consortium of US-based Bechtel Petroleum Chemical, China’s Sinopec Engineering (SEI) and Foster Wheeler Energy of the UK. The consortium is known as BSF. The project management contract with BSF for the overall project services provision during the implementation phase was signed in December 2002. During the final quarter of 2002 CSPC awarded Japan’s JGC, in partnership with Stone & Webster of the US, an EPC contract for the 800,000t/y ethylene plant. The contract was valued at $500m. Construction of the unit began in May 2003, marked by a ‘construction commencement ceremony’. The ethylene unit will utilise Stone & Webster’s Advanced Recovery System and Ultra Selective Conversion technologies. The ethylene unit commenced its operations in January 2006. The EPC contract for the styrene monomer/propylene oxide (SM/PO), propylene glycol/polyols plants was awarded to the joint team of Japan’s Chiyoda, France’s Technip-Coflexip and Japan’s Mitsubishi Corp. The contract was valued at $274m. Shell’s process technology is used for the production of the SM/PO. Shell’s technology for manufacturing PO is said to be significantly more environmentally friendly than the conventional chlorohydrin route. During the first quarter of 2003, CSPC awarded Italy’s Tecnimont a $220m contract for the construction of polymer plants. Tecnimont was responsible for building the low density polyethylene (ldPE), linear low density and high density polyethylene (lldPE/hdPE) and polypropylene (PP) units. A joint team comprising Tecnicas Reunidas, CTCI and UTE was awarded the contract for the construction of the ethylene oxide (EO) and ethylene glycol unit (EG) units. Yokogawa Electric Corporation was awarded a contract, valued at $50m, to work as the main automation contractor on the CSPC petrochemical complex. Yokogawa supplied process control and manufacturing information system solutions to the entire complex including an integrated production control system. Yokogawa is working with CSPC and BSF on the basic design phase to unify the design and architecture for the control and information management systems. During the middle of 2003, Aspen Technology (AspenTech) announced that it had been awarded a contract by Yokogawa Electrical Corporation to supply a series of operator training simulators for the CSPC petrochemical complex. AspenTech provided seven simulators which are used on all key units in the complex. The simulators are used for operator training before start-up and then for refresher training and operations improvement. Sepco Electrical Power Construction Corporations was awarded the contract to supply steam and power generation units, demineralised water and condensate storage and transfer systems. Tecnicas Reunidas has selected OMB’s forged steel gate, globe and check valves to be included in the construction of the 320,000t/y ethylene oxide/mono ethylene glycol (MEG) plant. OMB was awarded the contract after a competitive bid. CSPS Nanhai Petrochemical awarded Aveva a contract to supply an asset data facility. Based on Aveva’s VNET technology, it was implemented as an integrated plant information portal supporting construction, commissioning, engineering handover and plant operations. Aveva was formerly known as CADcentre. Aveva worked closely with engineering consortium BSF. At the beginning of February 2004, Praxair and CSPC announced that they were finalising an agreement for Praxair to supply oxygen and nitrogen to CSPC’s petrochemical complex. Under the terms of the agreement Praxair supplies high-purity oxygen and nitrogen from two new air separation units that will be built adjacent to the CSPC site. 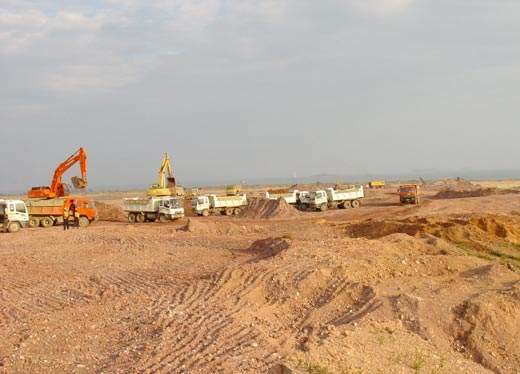 According to the Land Grant Contract signed between CSPC and Huizhou Municipal Government, the latter was responsible for resettling 1,485 households, which have been moved to new villages close to Huiyang town. Compensation was paid to all the families affected. CSPC also developed a procedure to ensure that people who have been resettled had an opportunity to work on the construction phase of the project. In addition CSPC, with support from the Daya Bay labour bureau, has set up a database listing resettled people of working age. This was used by CSPC, contractors and government to match skills with jobs.